Members plan, coordinate and present fine art opportunities for people of all ages. We encourage everyone to participate in free or low cost arts and humanities events. We support local and visiting Artists and help bring them together with our community. and many more! Keep a lookout for our logo. A way to connect with the Art Community in Johnson County. 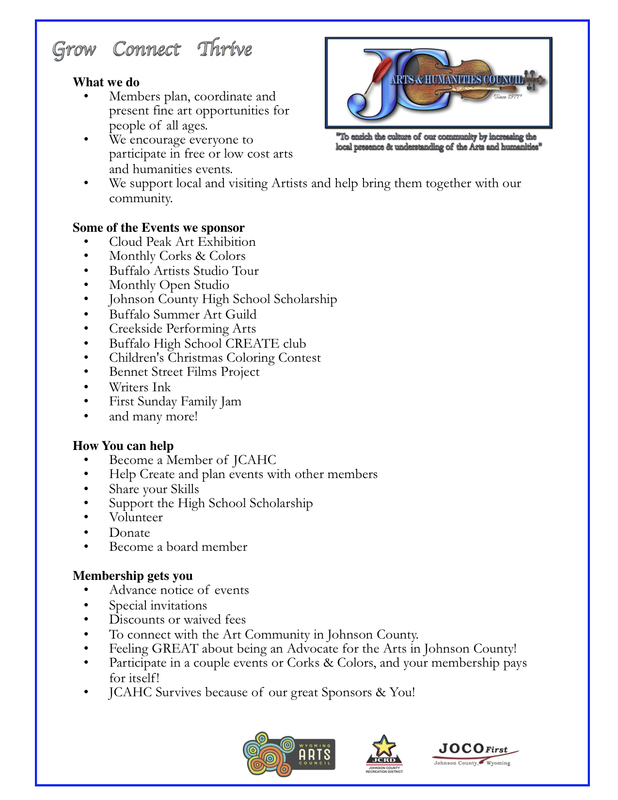 Feeling GREAT about being an Advocate for the Arts in Johnson County! Participate in a couple events or a Corks & Colors and your membership pays for itself! JCAHC Survives because of our great Sponsors & You!